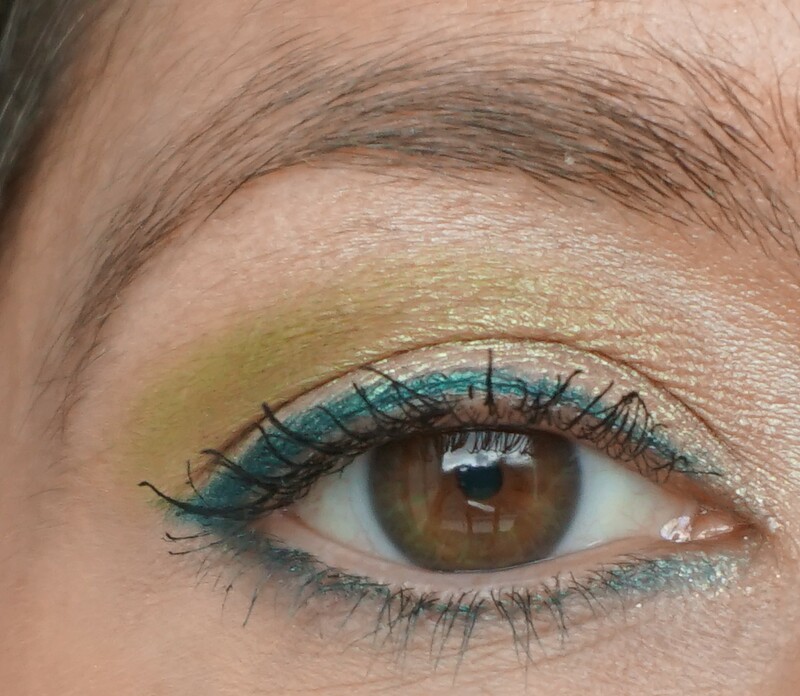 For this particular look, I took inspiration from a skirt I have with a tie-dye, swirled effect. 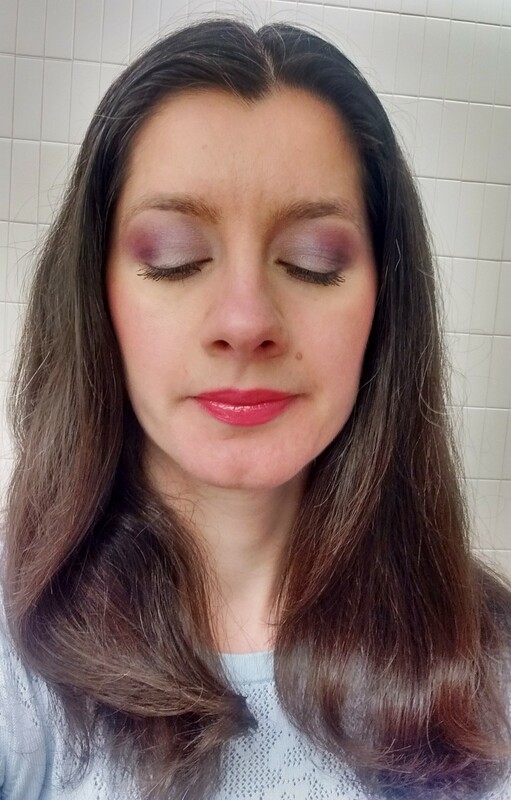 The skirt has a mix of black, pink, blue and purple and I thought it would look so cool to mimic that combination on my eyes. 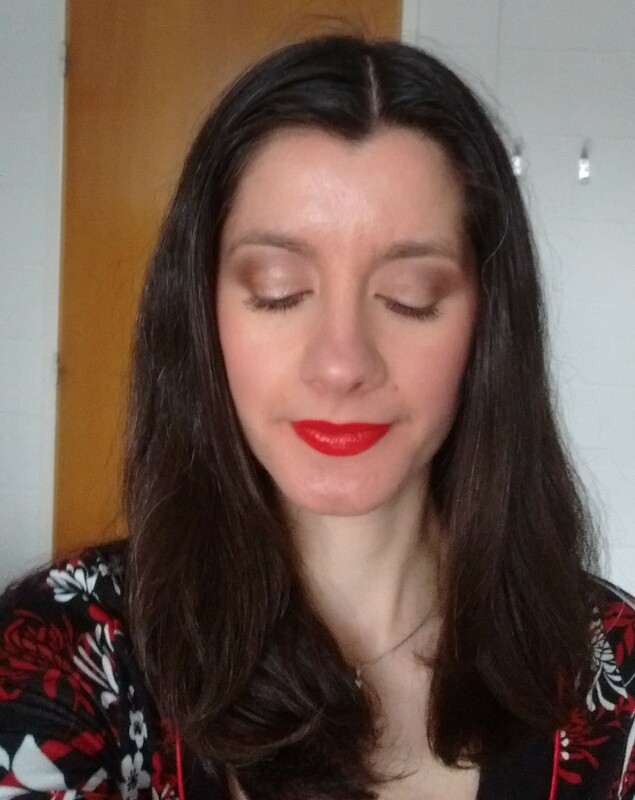 This look shows that red lipstick can be used with eyeshadow shades other than neutrals. 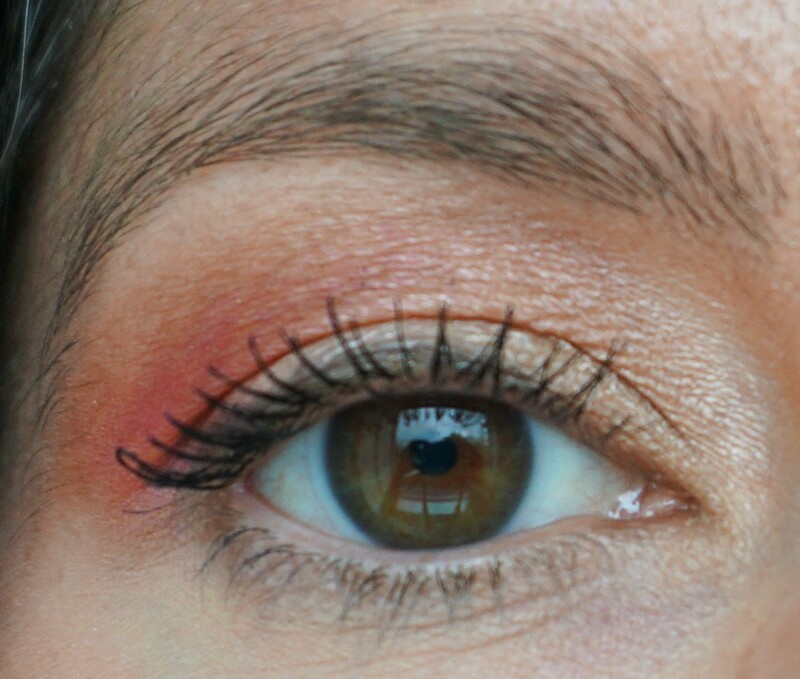 I used peach and coral-red eyeshadows on the eyes to create a very fresh, slightly colourful effect on the eyes. 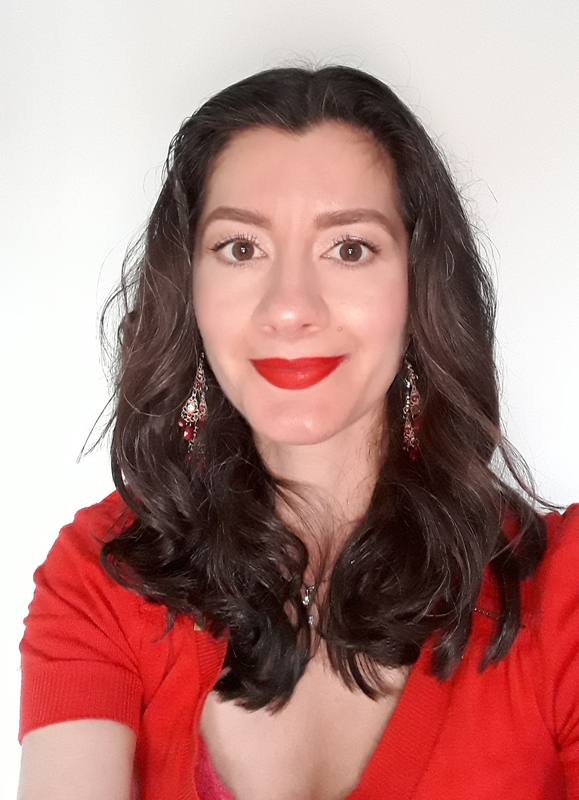 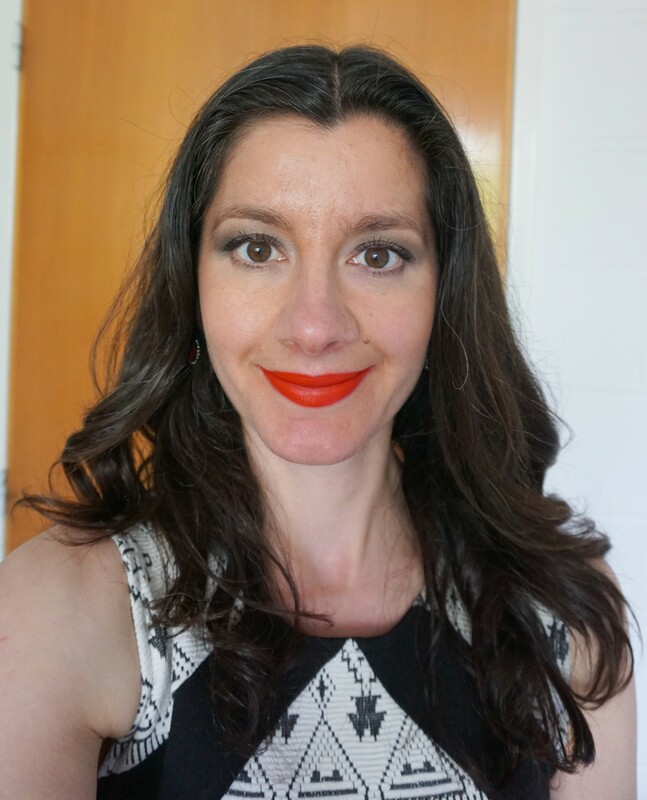 I completed the look using a peachy-pink blusher (MAC Pinch O’Peach) and a matte, pinky-red lipstick (Loreal Colour Riche Lipstick in Julianne’s Pure Red). 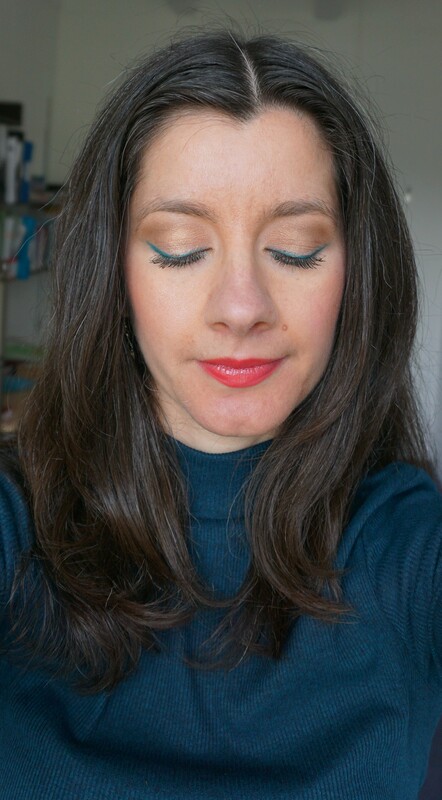 Looking for more tips, techniques and look ideas for when wearing red lipstick? 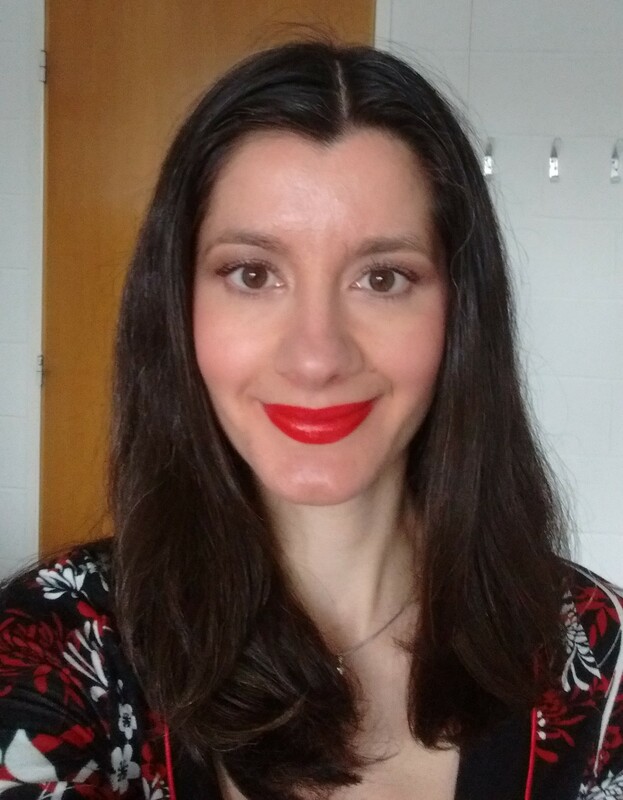 If so, you might like other articles and products featured as part of the ‘All About Red Lips’ series. 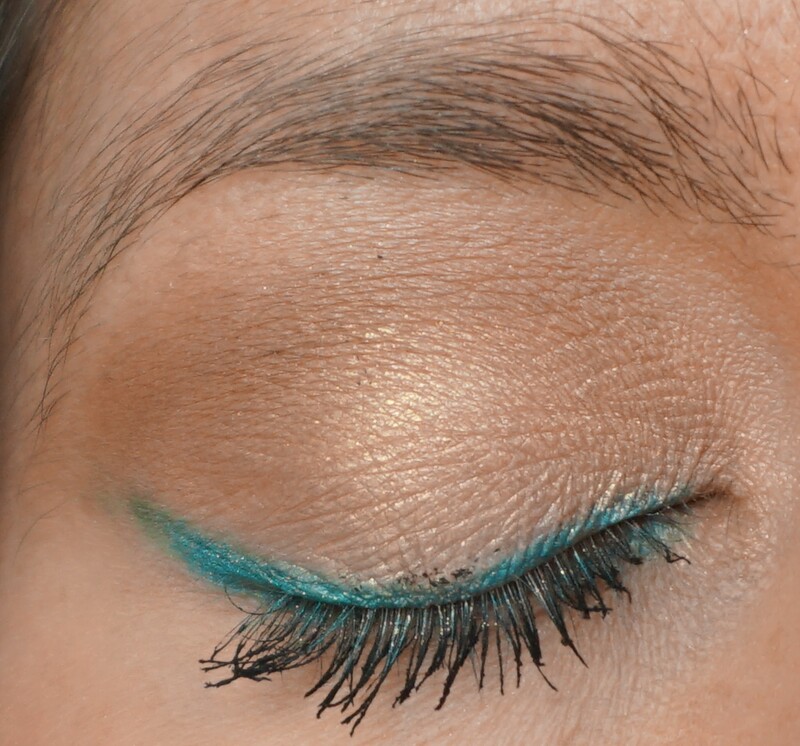 For this look, I brightened up a deep teal smokey eye by applying a true gold eyeshadow on the inner part of the lid. 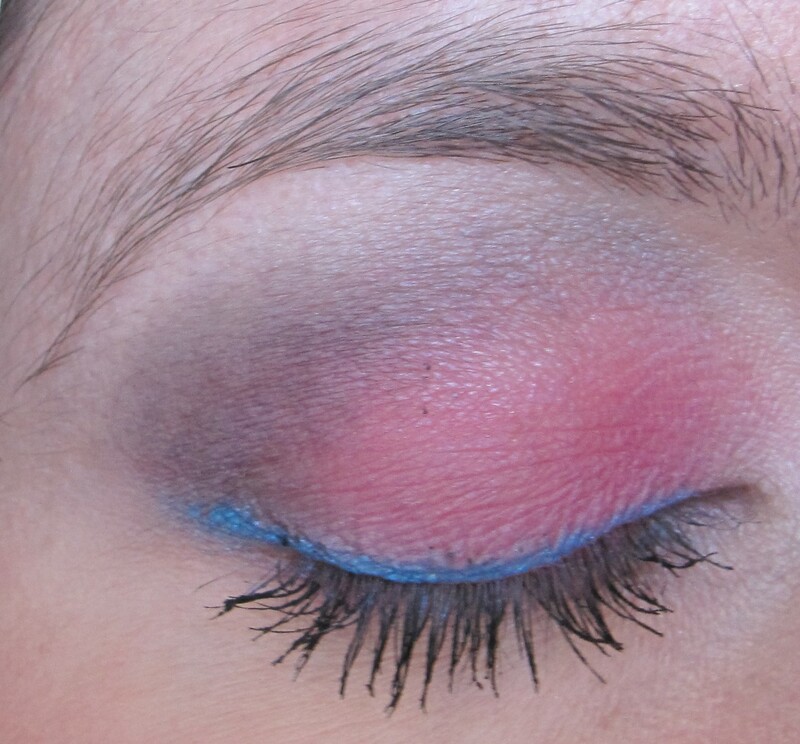 Using a lighter, shimmery shade on the inner lid adds some contrast when using deeper colours elsewhere on the lid. 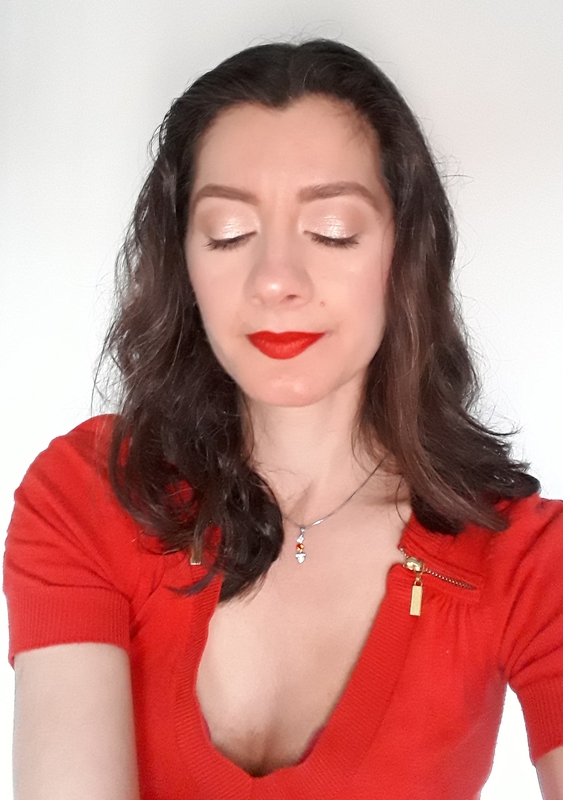 This look shows that red lips can be paired effectively with coloured eyeshadows on the eyes (not just neutrals) if they are kept very soft. 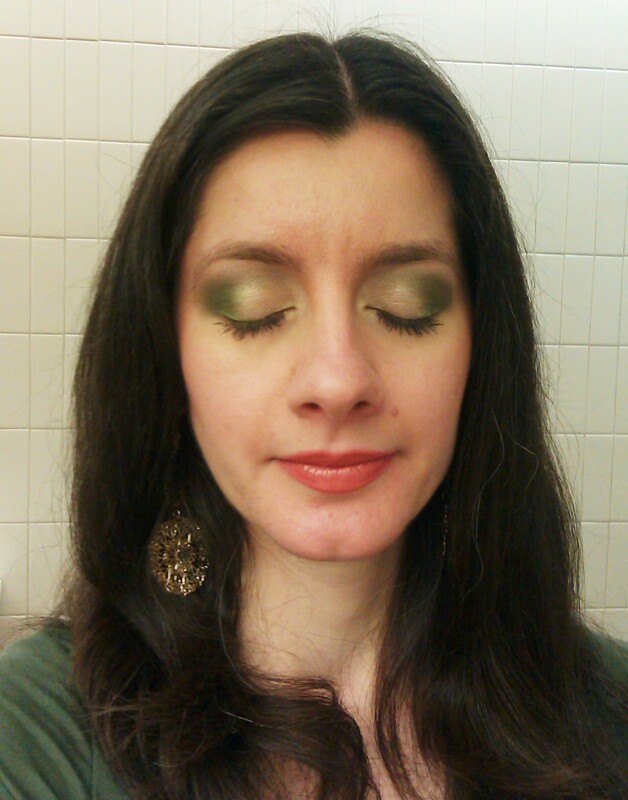 I used a crease/blender brush (MAC 217) to softly smudge olive green and forest green eyeshadows onto the lid. 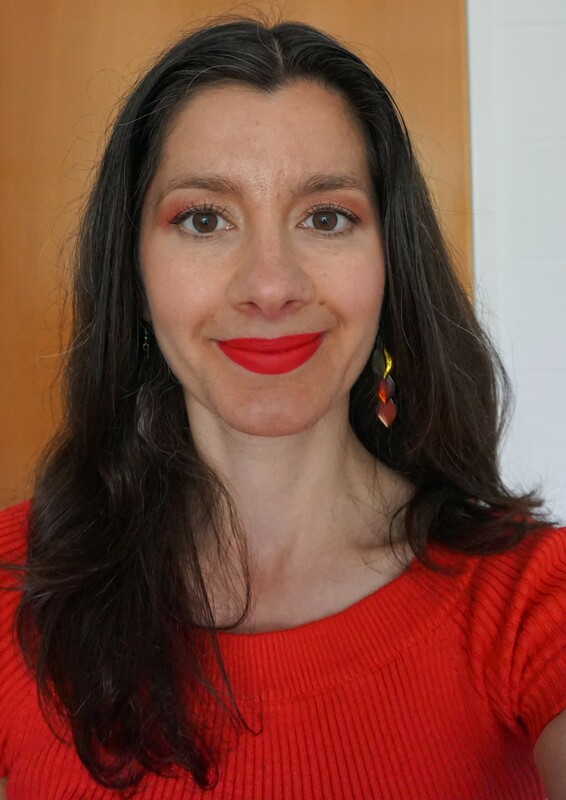 I completed the look using a rose-gold blusher and, of course, the hot orange-red lipcolour (Maybelline Colour Drama Velvet Lip Pencil in 410 Fab Orange) shown in the photos. 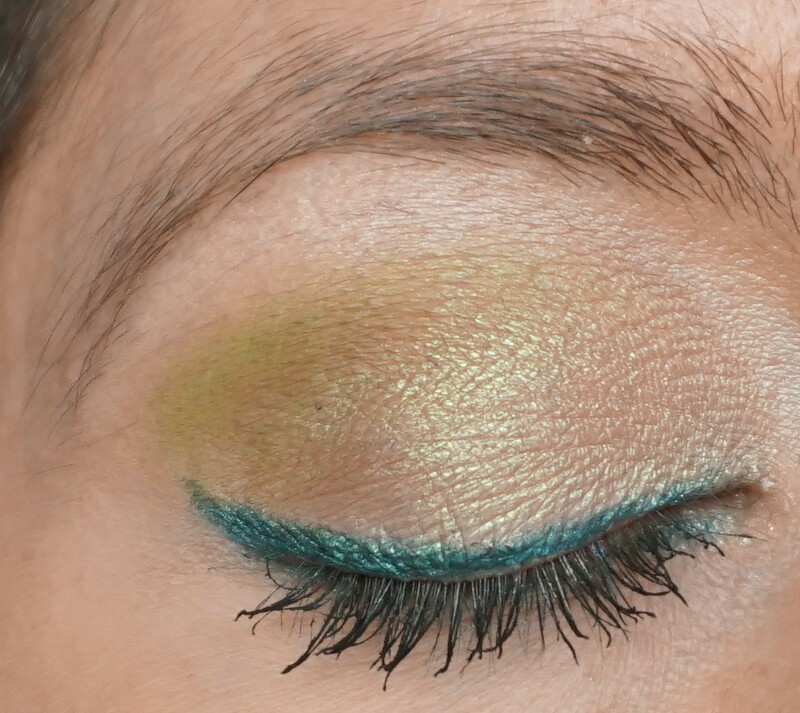 Green is one of my favourite colours and so I wanted to create a look based around this shade. 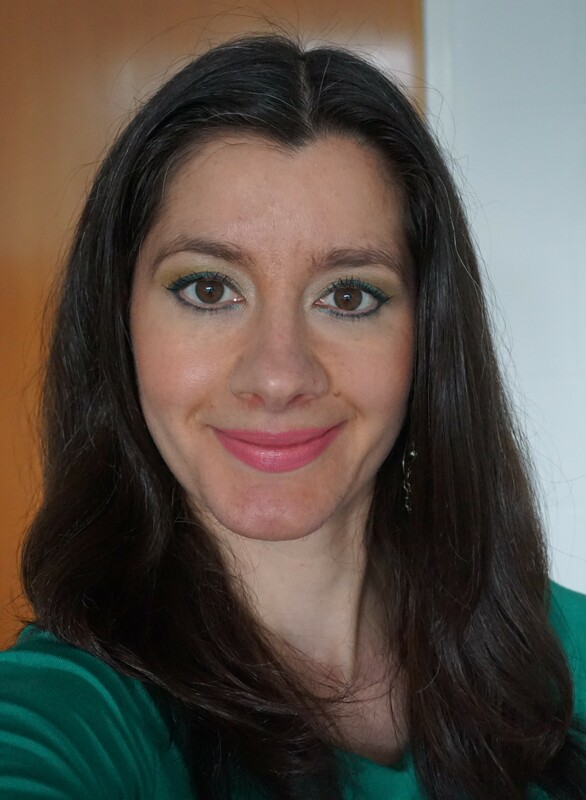 I combined together the NYX Slide-on Eye Pencil in Tropical Green with gold and lime green eyeshadows. 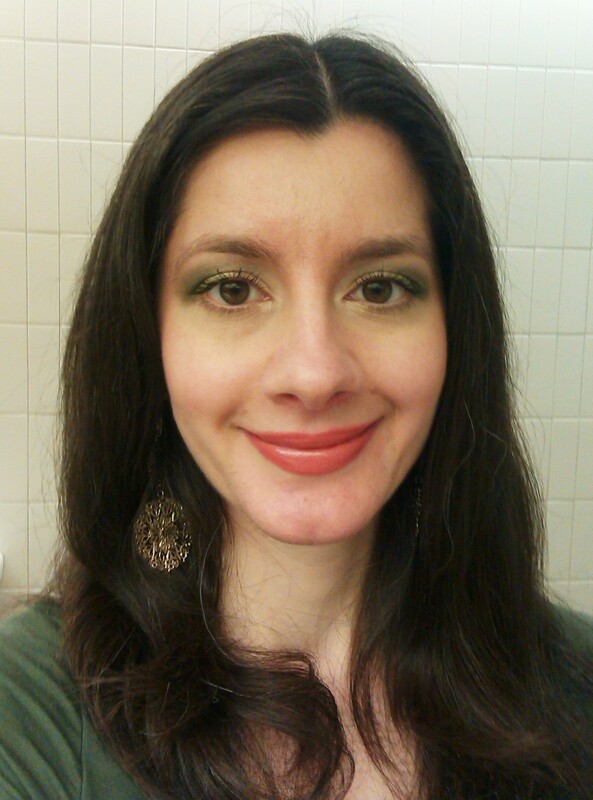 I completed the look with golden peach blusher on the cheeks and a satiny peachy-coral on the lips. 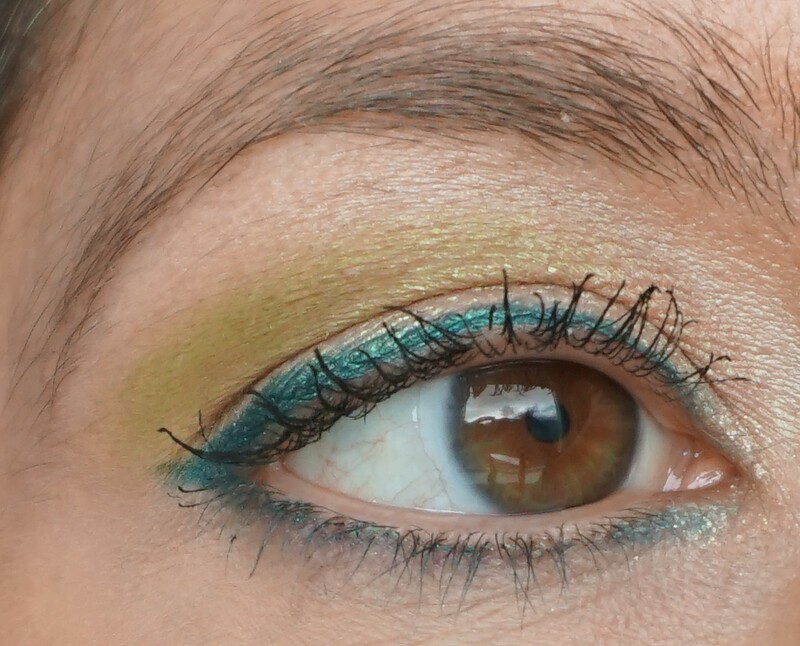 MAC Melon pigment is a very versatile shade, as it can be paired with other neutrals or used alongside brighter colours. 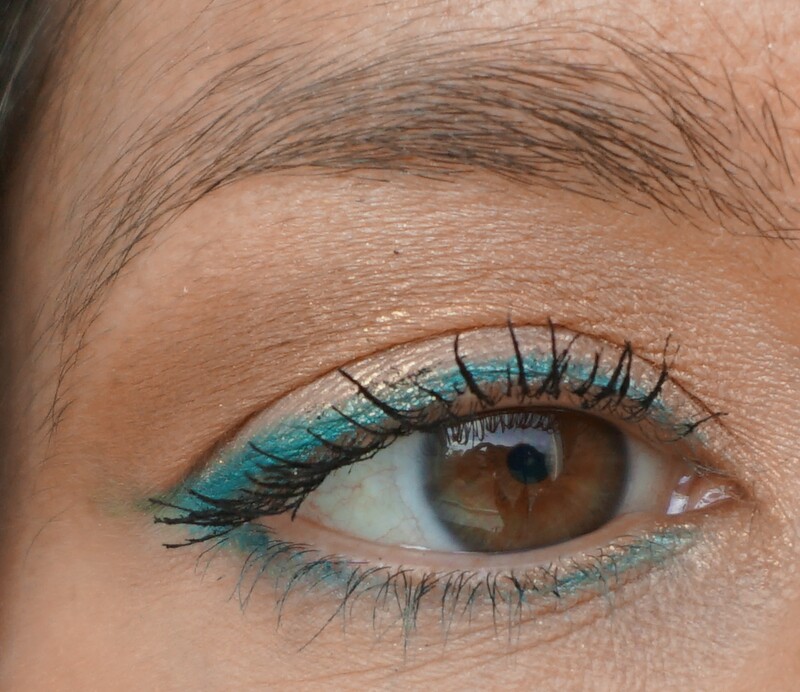 I used a teal eyeliner along the upper and lower lashlines to give a pop of colour to this neutral, golden-peach look. 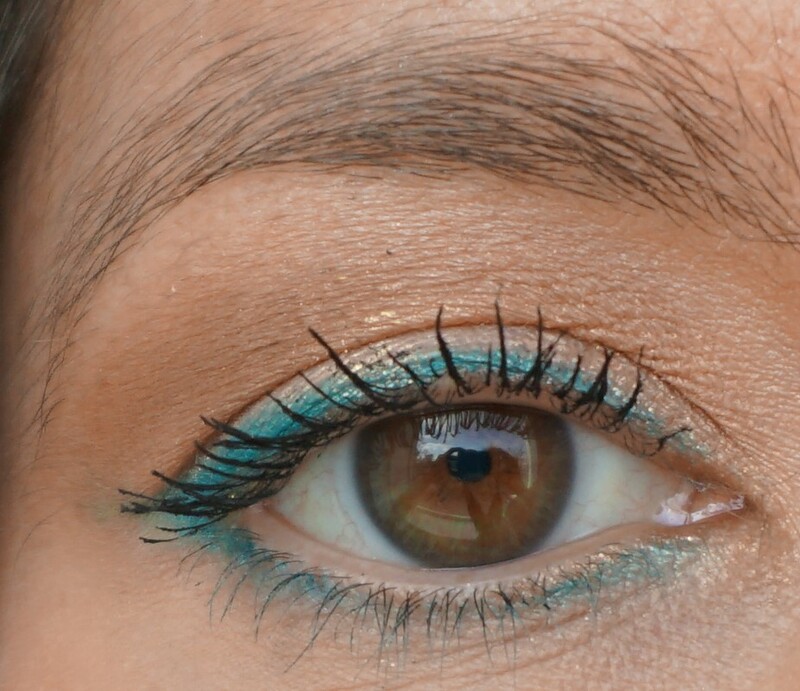 Tip: You can easily change up this look by using a different colour of eyeliner. Purple, blue and green would all work well and give a different twist to the look. 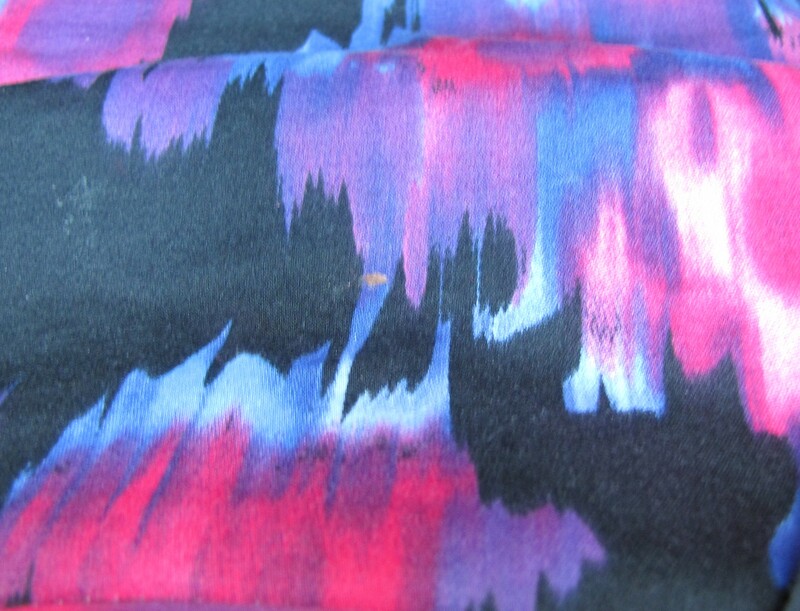 On this particular day, it was lovely and sunny, just like Spring was starting. 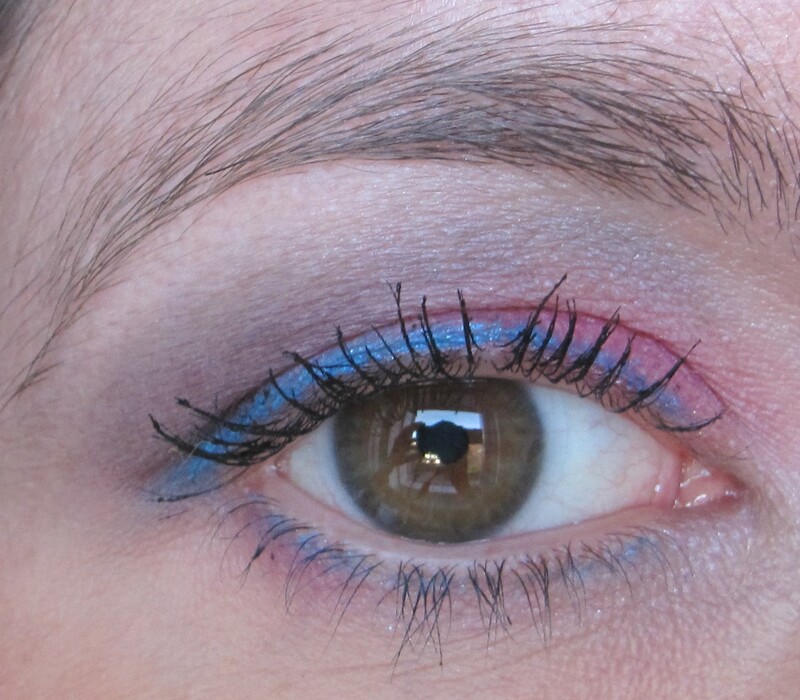 I combined together pinks, lilacs and purples to create a fresh, Spring-inspired look. 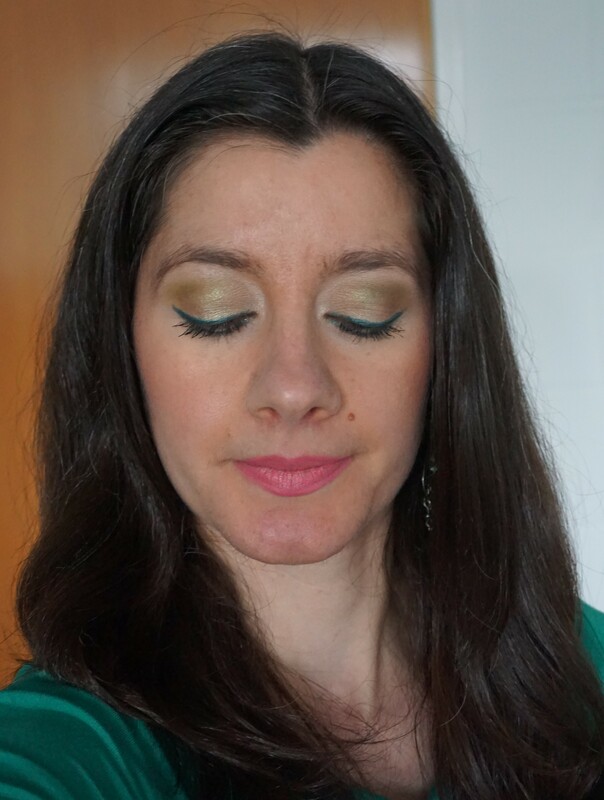 For this look, I used The Balm Mary-Lou Manizer – a powder face highlighter – on the eyes as an eyeshadow. 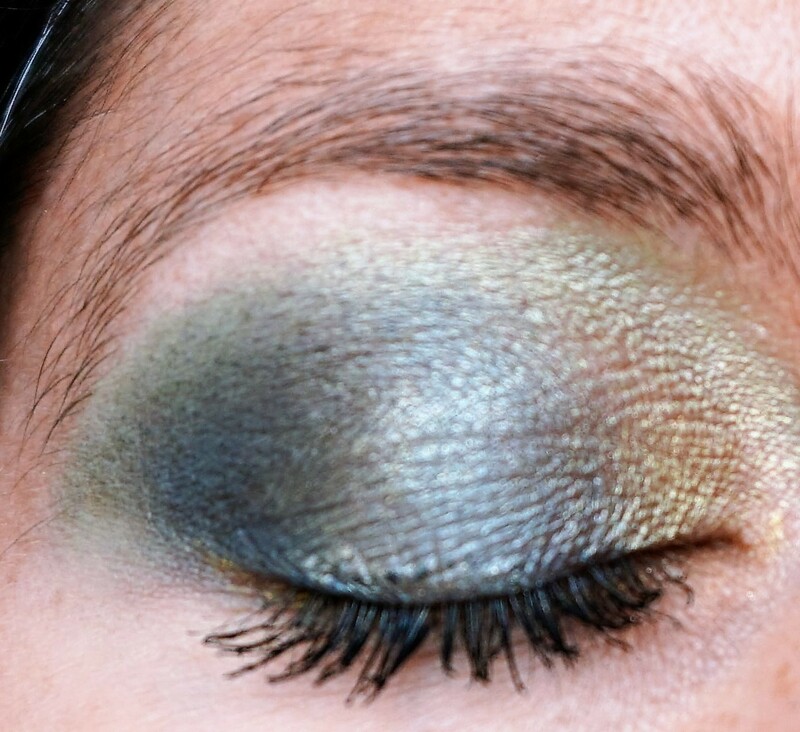 I combined the champagne-gold with greens to create a warmeffect on the eyes. 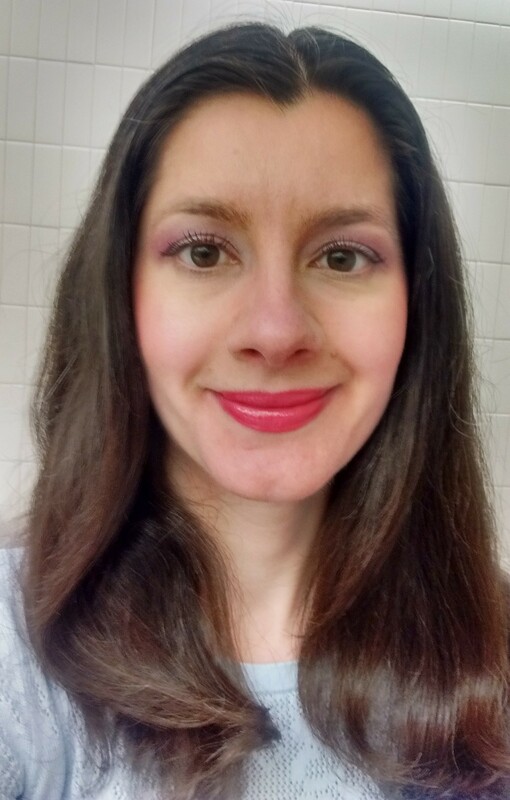 Tip: Face powder highlighters like The Balm Mary-Lou Manizer can be extremely versatile (click on the links to read more about this product). 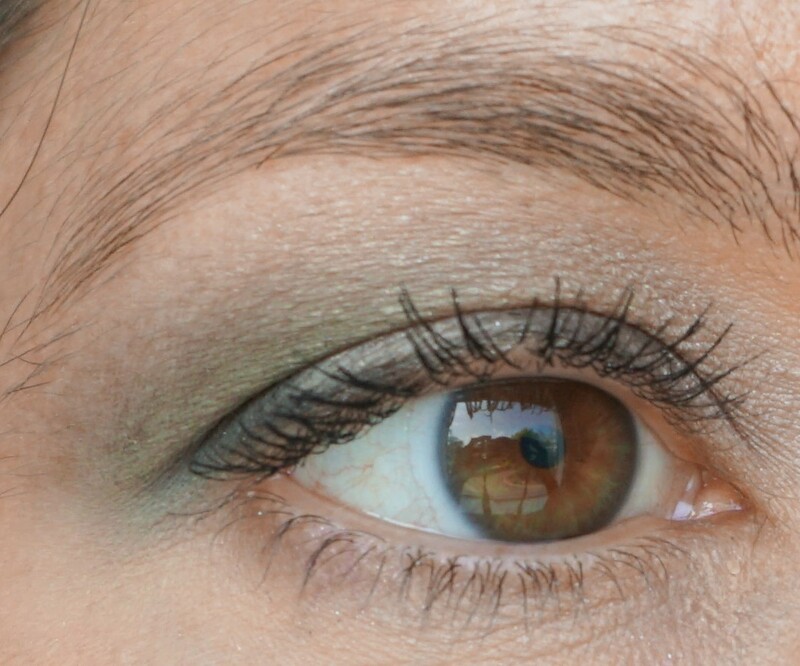 Try using these products on the face, cheeks and eyes to add extra radiance to your features. 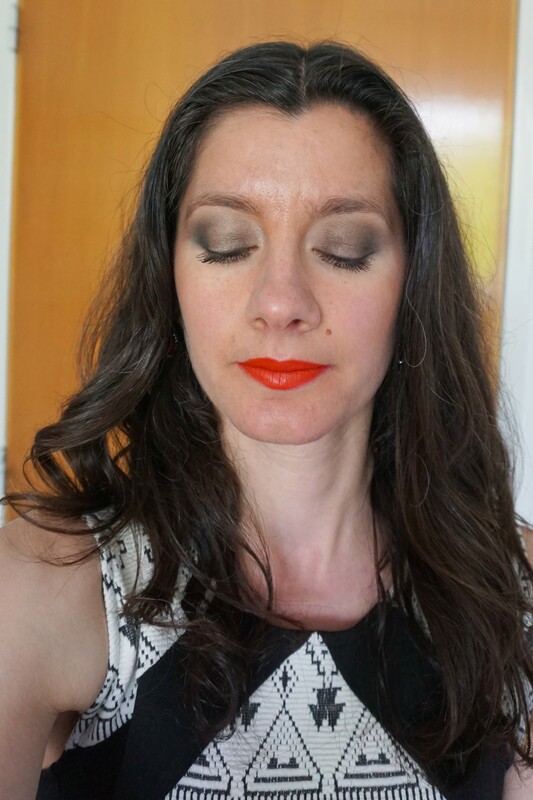 For this look, I created a neutral, yet defined effect on the eyes to really make the red lips stand out. 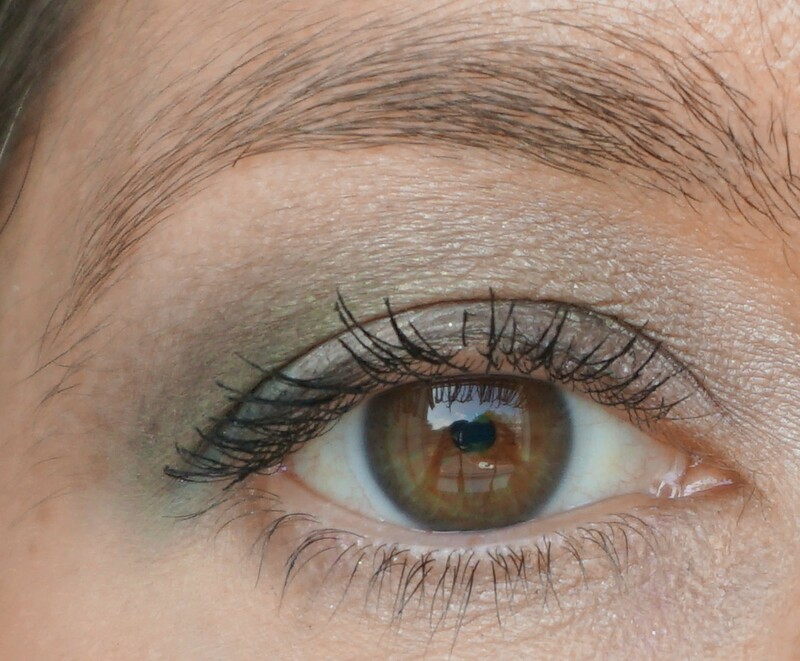 Using neutral brown tones on the eyes means that you can easily wear any shade of red on the lips that you fancy. 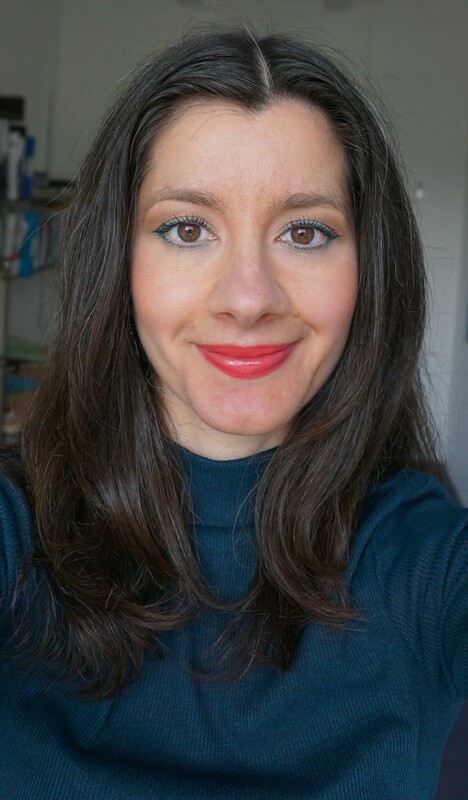 Tip: Hot pinks, bright corals and deep aubergines would all work if you want to wear a bold shade on the lips. 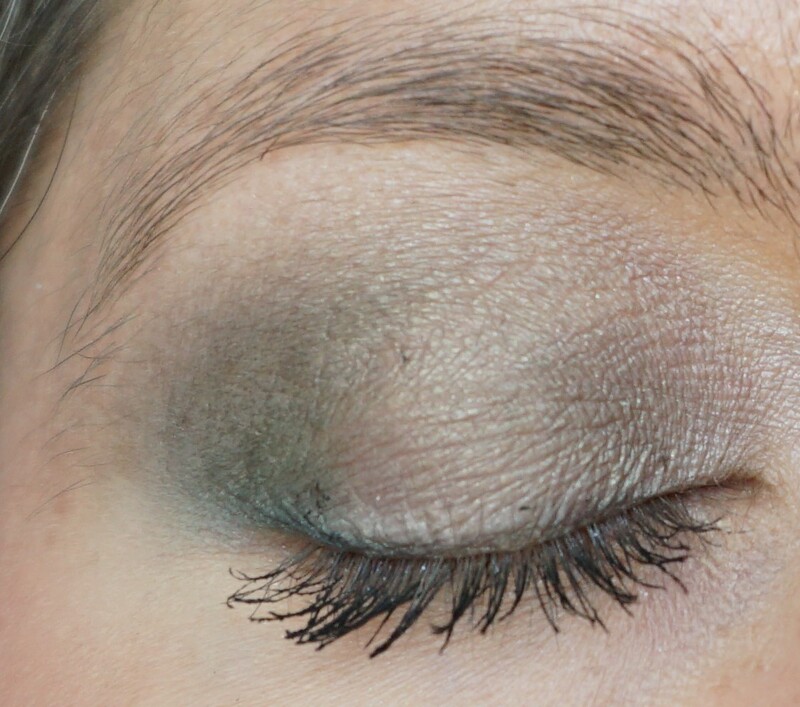 Alternatively, nudes and rose-pinks would work just as well if you want to keep the overall look very natural.